Hey, it’s nothing to be ashamed of. right ? 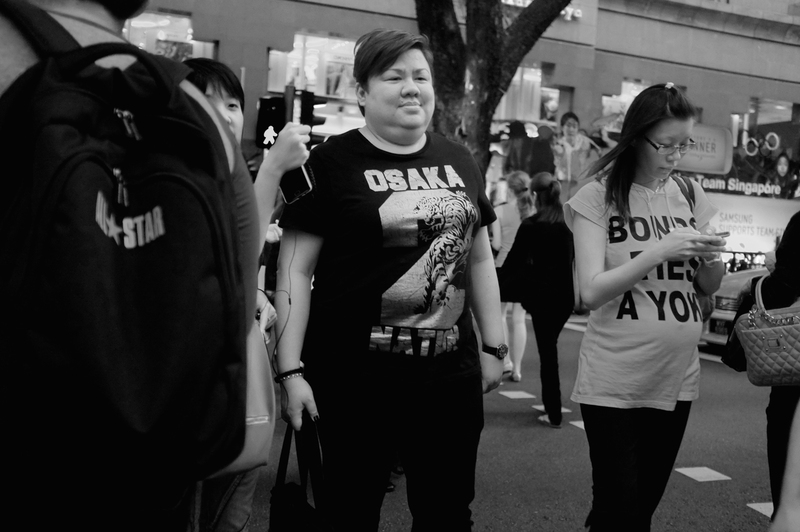 Google the above topic and you will see that fear is still prevalent as a street photographer. It’s human nature to resist taking a photo without permission of someone else. Will I get punched ? or abused ? or be shown the finger ? or whatever. Hey, I have a young family with me, so I have to be accountable to them right ? Well, you’ve heard it from me first in here. I’ve never ever been abused, punched or shown the finger yet. Not once, uh hmm. Well, it’s also good to note that, that’s because I’ve only actually been out taking street photographs fewer then 5 times with my x100. I’ve tried out his techniques while shooting and they do work. So while I’m honeymooning in Hokkaido these 2 weeks, here’s something to help you along your way. Oh yes, one final tip. Just smile after you’ve taken the shot. 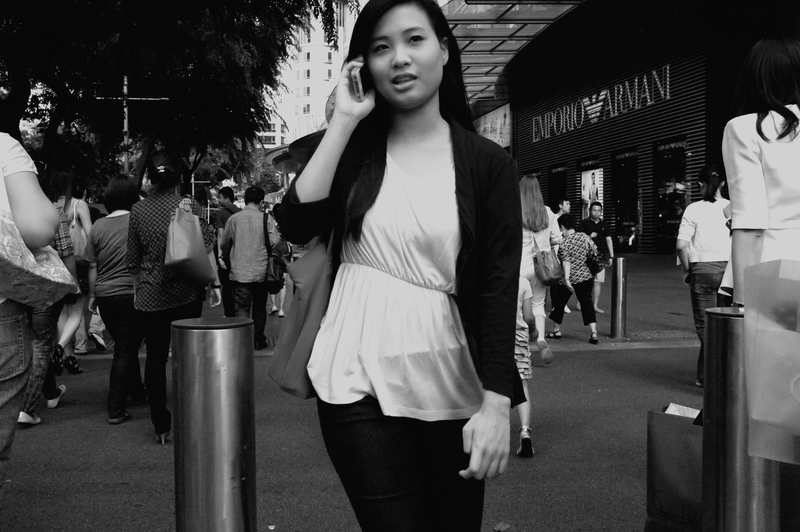 Here are a few hip shots I took during one of my trips to Orchard. This entry was posted in How to overcome your fears and tagged Eric Kim's How to overcome your fears in street photography, Overcome Fear, Street Photography, Tips on street Photography by EJ. Bookmark the permalink.